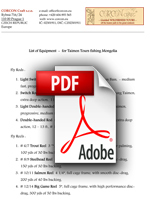 All of our Taimen Tours in Mongolia are a full 14 days, - with 12 days of pure fishing at the chosen river. Our key to success for more than 20 years now, is to give our fishing guests sufficient time to fish and learn at the Taimen river, which is often completely new to the traveling sportsman, and the productive fishing and casting techniques introduced by our experienced river guides and fly-fishing masters, may not be yet familiar to the newcomer in Mongolia. Therefore, the more time our esteemed fishing guest can spend at the Mongolian river and learn from our European guides, the better chances for him naturally, to land more and bigger Taimen. Further, Mongolia is a vast country, and the protected rivers in National Parks with a healthy population of Taimen today, are to be found only in remote areas at the gates to the wilderness. 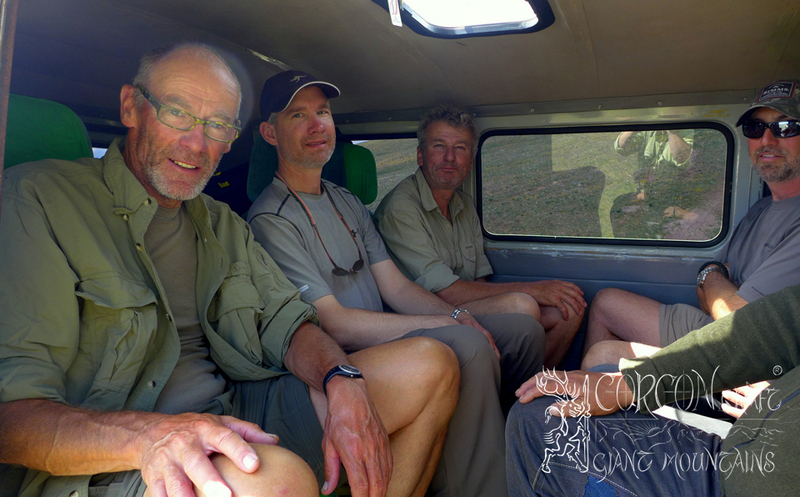 The adventurous sportsman will spend one or two days on the trek with us, before he can commence productive fishing at our lodges, camps, or wilderness encampments in the Mongolian outback. Serious Taimen fishing is, and always will be, a quest for the grand fish of the wilderness. 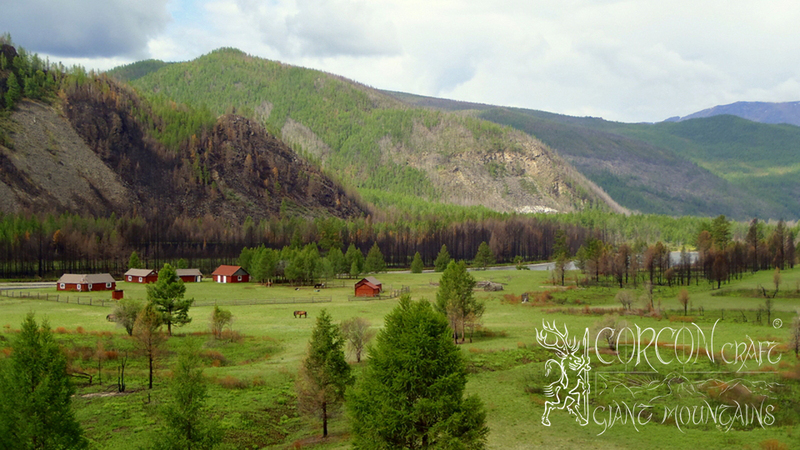 With many good Lenok Trout and beautiful Grayling along the way, - but it is not just an average eco-ethno trip or an easy walk down the river bank. However, the duration of stay at the Taimen Camp may be altered for the returning client, or for the requirements of the businessman, who is always short of time. A bespoken Taimen Tour may be customized and cut-down to 8 - 10 days in total, with 6 - 8 days of pure Taimen fishing, in individual cases. Your Taimen Tour begins after the domestic flight from the Mongolian capital Ulaan Baatar, - whether to Bayan Ulgiy in the Altai Mountains in the West, - or to Moron in the Hovsgol Province in the North, - or to Choybalsan in Manchuria in the East of the vast country, depending on the specialized fishing tour and Taimen camp You have chosen. After You have been collected at Ghengis Khaan International Airport by the female colleagues from our Ulaan Baatar office, You will be driven to Your hotel in the city center for overnight at the capital, - or You will be transferred directly to Your domestic flight the same morning without delay, depending on Your arrival time and the international airline You have chosen. - Aeroflot via Moscow arrives in UB very early in the morning, and the connection to the domestic flight in Mongolia works very well, whilst China Air via Beijing arrives late in the morning, making overnight in UB necessary, - to name just an example. You will meet Your fishing guide at the airstrip of the provincial town. 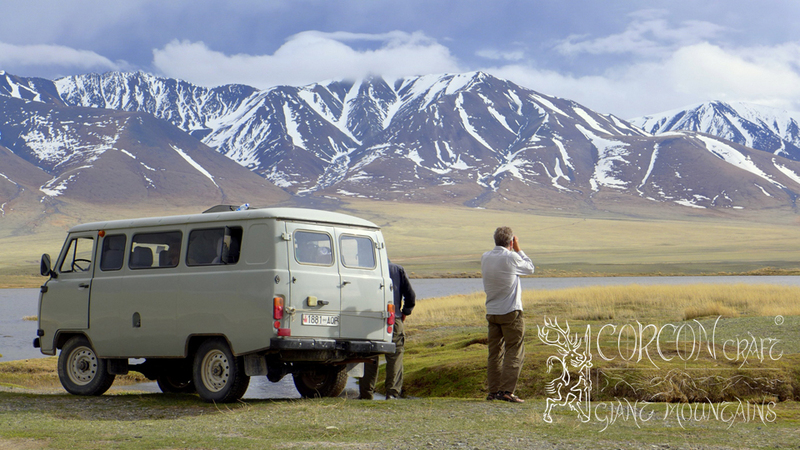 The European guide and his native driver will be taking You and Your fishing equipment to the Taimen Camp, which is usually an off-road drive of 6 - 10 hours across scenic and picturesque backcountry, as all of our fishing camps are situated at the gates to the Mongolian / Siberian wilderness in the Borders. The return trip from camp follows the same schedule. You will be leaving camp early in the morning, to catch the domestic flight back to the capital in the afternoon, or to stay in the hotel of the provincial town overnight, - depending on the current domestic airline connection in the morning or in the afternoon. 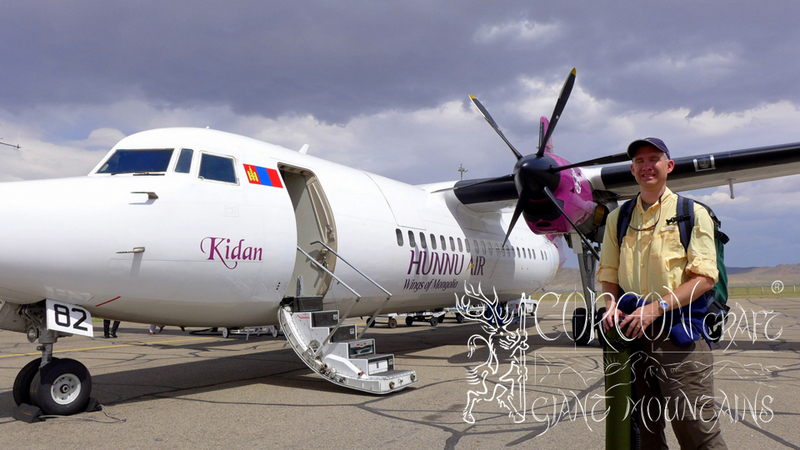 The domestic flights are often delayed or cancelled because of quickly changing weather conditions, and therefore we are working with all 3 domestic Mongolian airlines, in order to have more options for the quick and smooth transfers of our clients to the fishing camps and back. You will be accompanied by Your English, German, Spanish, and Russian speaking fishing and tour guide at all times. The Taimen Tour begins with Your arrival at the domestic airstrip of the provincial town in the outback of northern Mongolia. The dates of arrival and departure of Your chosen 14 days Taimen tour are marking the day of leaving the provincial town, and coming back to the small Mongolian town from our Taimen camp, - featuring a full 12 days of pure fishing at the wild river ! Taimen Tour date is 28.09. - 11.10. 2015, River Khalchyn II Expedition Manchuria. Departure in London on the 26.09. with Turkish Air via Istanbul, arriving in Ulaan Baatar on the 27.09. (1 day time skip) in the morning. - Transfer to the domestic flight to Choybalsan in Manchuria the same morning, arriving at the provincial town early in the afternoon. Overnight stay at a domestic hotel in town. - Early morning of the 28.09. Your Taimen tour begins and we are leaving on land to our fishing camp in the National Park of the Khalchyn borders. 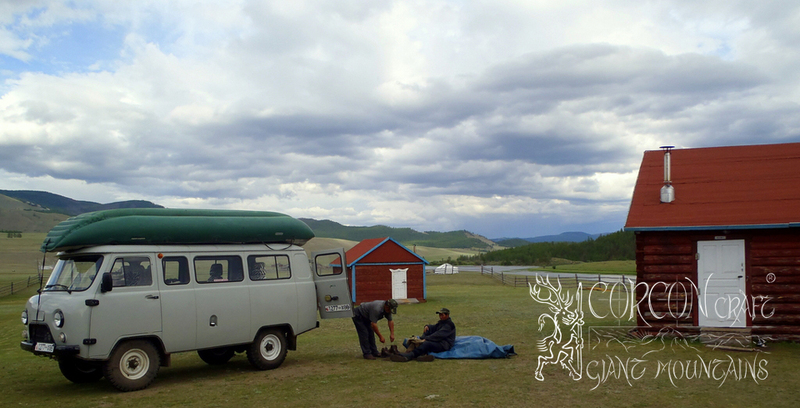 Arrival at camp will be in the late afternoon, and You will commence fishing the next morning on the 29.09., after taking a good rest in the comfort of our native yurta-ger camp at the banks of the wild river. Departure in Ulaan Baatar in the morning of the 13.10. back to London with Your international flight, after coming back from Choybalsan on the 12.10., and after leaving our fishing camp on the 11.10. in the morning. Overnight stays will be in the provincial town and in the Mongolian capital, depending on the domestic flight connection in time or delayed by weather conditions. Either way, You will have one full day for shopping and sight-seeing in Ulaan Baatar, staying at a comfortable 4-star-hotel in the city center, and You will have not to worry, if You may catch Your flight back home in time. - In the early afternoon of the 13.10. (time skip) You will be back at Your European airport in London, on return from Your perfectly planned Mongolian adventure.